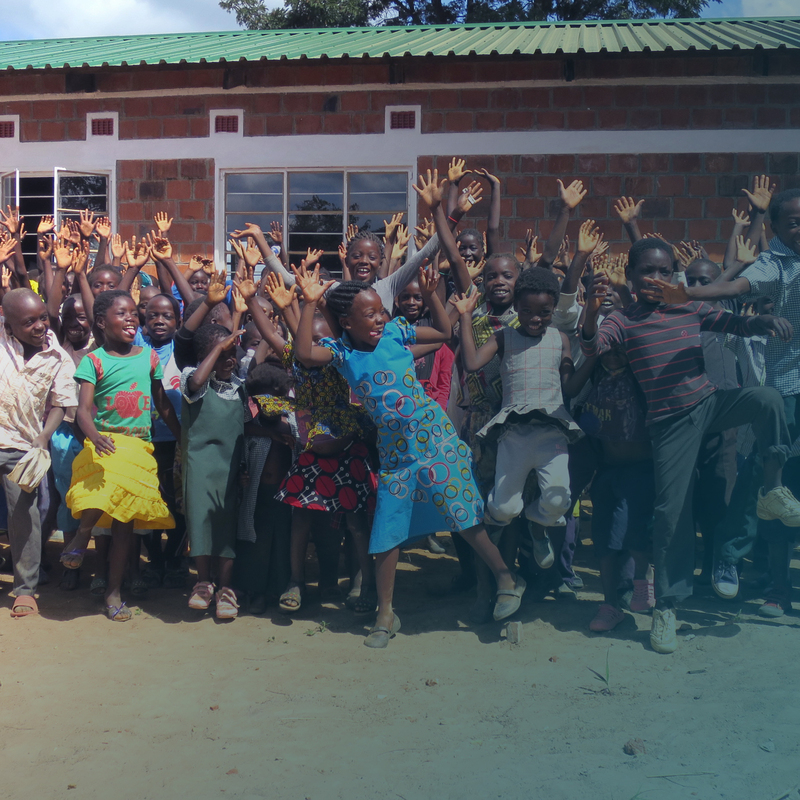 Build It International is a B1G1 Worthy Cause that pioneers a simple and highly effective model in Zambia which is enabling hundreds of unemployed young people to learn essential building skills, and at the same time help to build vital schools and clinics for thousands of children. Zambia is one of the poorest countries in Africa. For many life is a daily struggle for survival, characterised by the limited access to the basic services that we take for granted; education, health and basic sanitation. have no regular income in 2017. 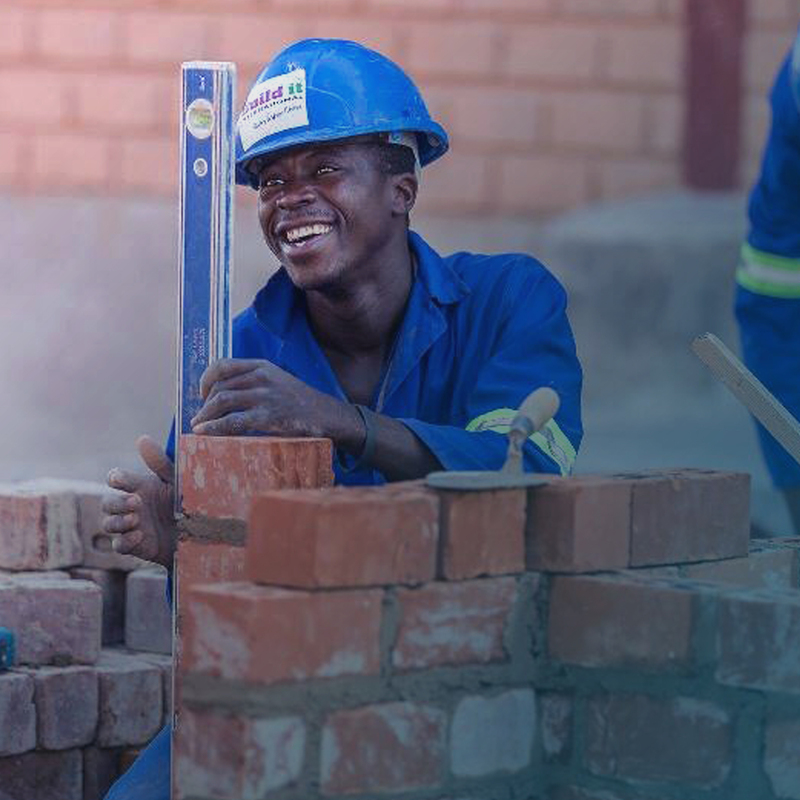 Build It International has pioneered a simple and highly effective model in Zambia which is enabling hundreds of unemployed young people to learn essential building skills, whilst building vital schools and clinics for thousands of children. An effective skills training programme that is training hundreds of young local men and women with construction skills. These practical skills help them earn a living and provide for their families and empower them with the chance of a brighter future. Many are trained whilst working on our building projects which directly benefit their own children, families, and community. Construction of community buildings which includes primary and secondary schools, health clinics and a training centre, bringing essential services to some of Zambia’s most disadvantaged communities. This building project gives the local communities access to new school facilities, and train 20 young people in construction skills during the build process. A high-quality school with 3 classrooms will use around 8000 bricks. Build a brighter future for young unemployed men and women by training them in construction skills and giving them work experience to be a bricklayer or painter so they can get a job and earn a living to support their families. 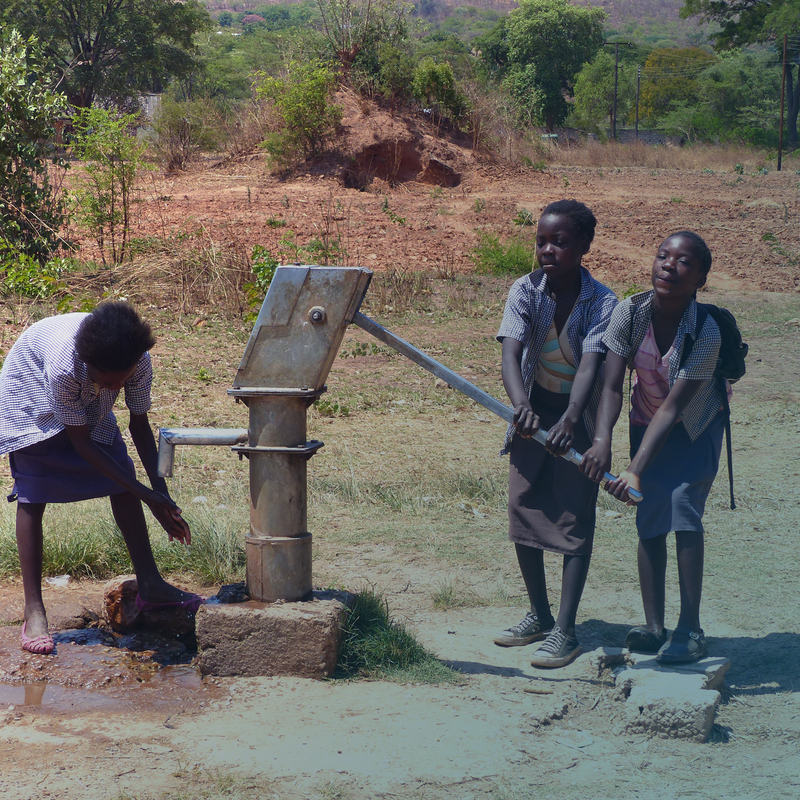 Give a borehole and hand pump for vulnerable children and orphans at a school of 1000 pupils in rural Zambia, bringing clean water and good sanitation practices to improve health and well-being, and benefitting the wider community of over 4000 people. On 25 September 2015, world leaders convened to adopt the 17 Sustainable Development Goals (SDGs). They represent the global community’s next step in ending poverty, fighting inequality and injustice, and tackling climate change for the next 15 years. The projects from Build It International contribute to 3 of these goals. Click on the goals to find out more. Log in and send the Gratitude Certificate now.